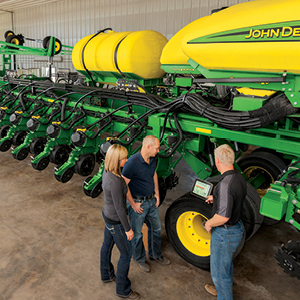 When you have your planter inspected by a certified John Deere technician at SEMA Equipment, you will receive a 5% discount on the parts we install as a result of the inspection. You can rest assured that your planter is ready to go for the season with our 12-month warranty on genuine John Deere parts. Make an appointment with your service manager today!